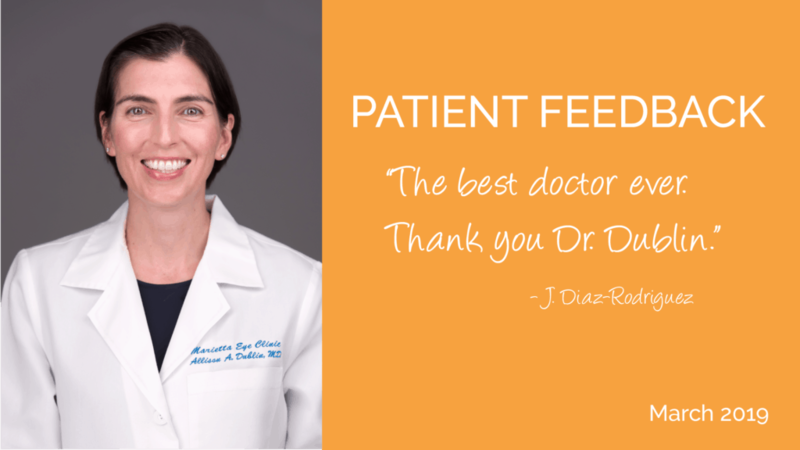 We invite you to take a minute and see how our doctors impact the lives of the nearly 70,000 patients we evaluate and treat each year. This is a small slice of our patient base, but we thought you would be moved as we were by the comments our patients shared. We are proud of the level of care we provide and we always seek to improve and be on the cutting-edge of health care delivery. Learn more about Allison Dublin, MD here. She is a talented ophthalmologist specializing in glaucoma and cataract surgery. 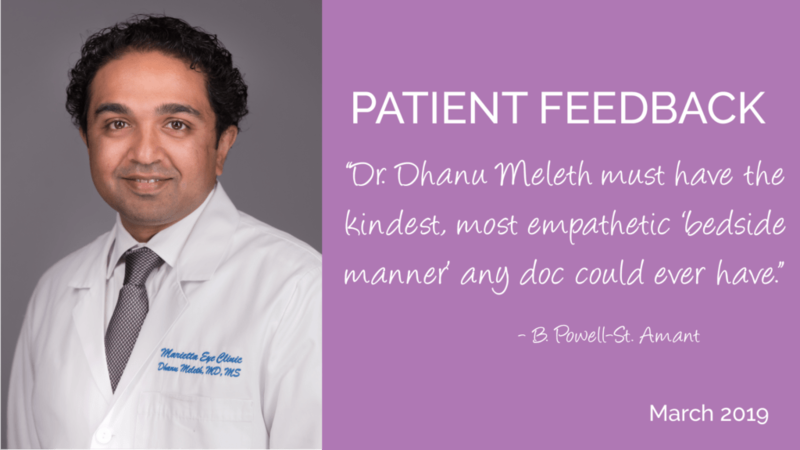 Learn more about Dhanu Meleth, MD here. He is a talented ophthalmologist, researcher, and retina surgeon. Learn more about Monica Bratton, MD here. 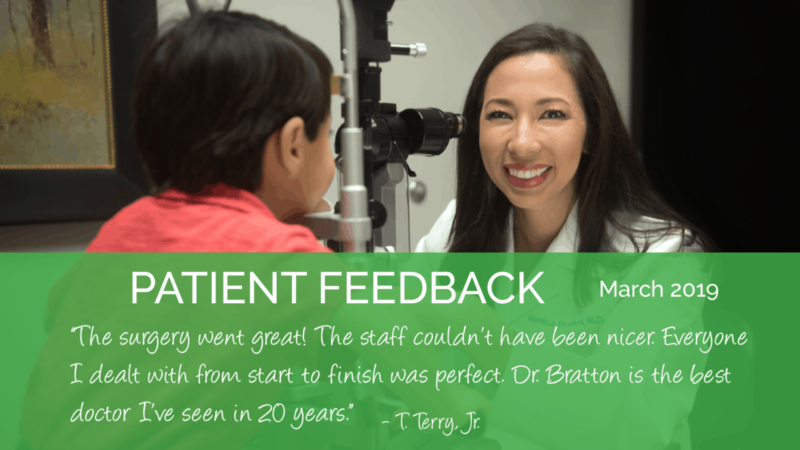 She is a talented pediatric ophthalmologist, surgeon, and adult & pediatric strabismus specialist. Learn more about Lakshmana Kooragayala, MD here. 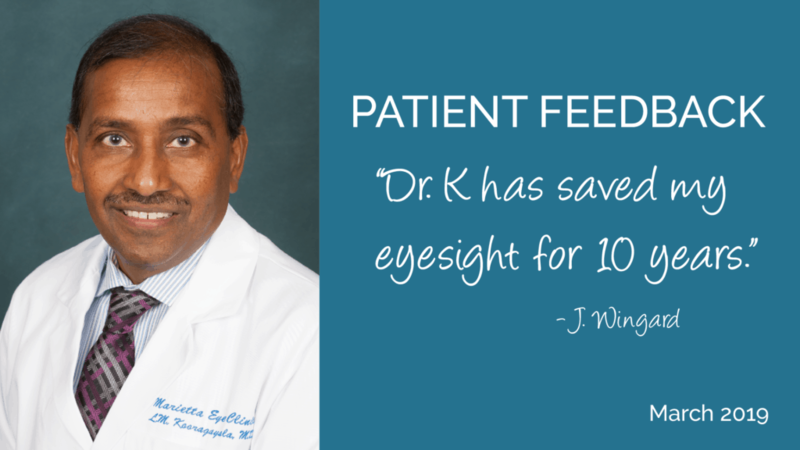 He is a talented ophthalmologist, researcher, and retina surgeon. Learn more about Paul Mitchell, MD here. 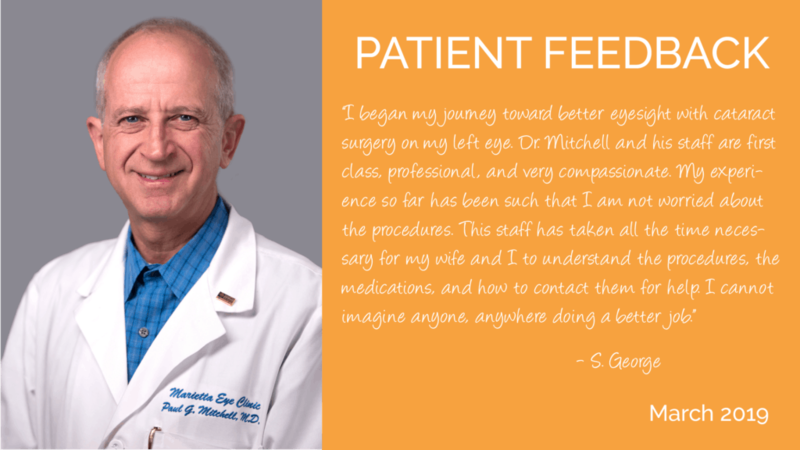 He is a talented ophthalmologist, researcher, and one of the most experienced cataract surgeons in the Southeast. Learn more about Amy Cherof, MD here. She is a talented comprehensive ophthalmologist and cataract surgeon. Follow-up was great, and if I had any question in between, I could call. It was answered right away. I couldn’t have asked for a better experience. I would highly recommend them to someone else if they were going to do the same thing. I knew ahead of time what to expect, how much it was going to cost, the whole smear. I mean, they were just very professional. And fun, you know? I would recommend them. I’m extremely pleased. In fact, I have since taken my brother in to see Dr. Dublin. I have a friend who is having cataract surgery with them the 28th. I’ve been through a lot of surgeries, And these people were wonderful. It’s not something you want to go through, but if you do, this is the place to go. I’m sold on the place because I just feel like I’m getting the best care possible. I feel like I get more attention here than I’ve had previously. Jennifer Kasmen as outstanding in every way helping me with important information pertaining to my health insurance as well as accomdating me with my appointment with Dr. Ho. She is the reason I am here! I can’t say enough about her! Thank You!